The Building Blocks Family Guide contains ideas for fun activities and discussion starters for you and your children, as well as advice and guidance on topics such as active listening, rule making, and being a good role model. It also can be used to guide you through the rest of the Building Blocks materials with your children. -- Toolkit Includes fun, colorful, interactive materials for parents and caregivers to use with their children. Helps children make decisions, gain confidence, and improve self-esteem. 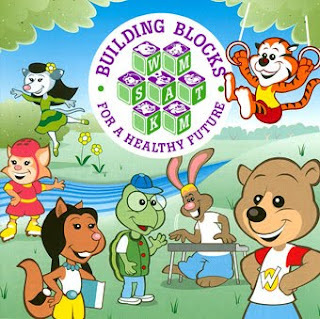 -- Contains games and puzzles aimed at healthy behavior promotion and positive self-image for children age 3 to 6. Helps children identify feelings and make wise choices about health and behavior. Companion to other Building Blocks materials. -- This Easy Reader features the familiar Building Blocks characters and encourages children to play outside and exercise, eat healthy meals and snacks, and discover the world around them. Activities throughout the book let children show all of the things that they can do, too! Use this oversized, colorful book in the classroom or at home to engage young children in reading, problem-solving, and making healthy decisions. 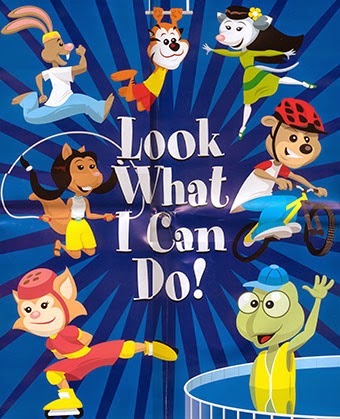 -- Reinforces friendly characters used in activity book, and other materials that promote healthy behavior. A to Z pages teach the alphabet and provide a fun activity for children age 3-6. Part of the Building Blocks for a Healthy Future series.